Kimberly Norton was born in California on September 1st 1973. Kimberly grew up in the town of Pinole , CA where she attended public school. She graduated from Pinole Valley High school in 1991. After high school Kimberly attended community college at Diablo Valley College , and also Solano College . Kimberly also attended cosmetology school where she graduated and became a Cosmetologist. Kimberly was married in 1999 to her wonderful husband. A few years later she had her first child in 2001 and her second in 2004. In Kimberly’s life span she’s held several jobs, and gained valuable experiences from each of them. In 2006 Kimberly and her family moved into the beautiful foothills of Northern California where they still lives today. Kimberly works part time at a salon in Sonora, Ca. She volunteers at the local elementary school, and finds time to write when ever she can, but writing is her passion, and not a day goes by where the story of Max and Kelly isn’t playing in her head. The official release date for her first book The Crystal Princess was February 2011. It’s the first book in the series, and it's the introduction in to Kelly's life. She’s working hard on book two in the series, and she will follow it up with a third and maybe fourth book. These books should reach the 300 plus page mark. Kimberly’s book is published through Tate Publishing, a mainline publishing house. 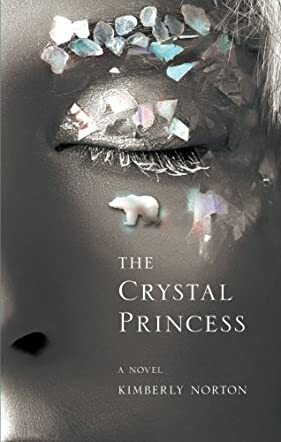 The Crystal Princess, written by Kimberly Norton, is an enticing story about Kelly, an eighteen-year-old girl who lives the perfect life, including having a superstar football player boyfriend. Then one day at school, she's abducted by her real family, her sisters and mother who are part of a witch's coven that Kelly knew nothing about. The story follows Kelly as she learns the ways of the witches and discovers that she is in fact being hunted by other witches who wish to have her powers. As long as Kelly can stay alive until midnight of All Hollow's Eve, she will become immortal. To make things even more complicated, she falls in love with a member of the Mi Wuk Indian tribe, which is very frowned upon by witches and the Indians. Kelly must use her powers to save her family from the evil witches and also save her true love. The Crystal Princess is a very interesting story with many details about Kelly's life after she is abducted. I wish there had been a lot more about her life before the abduction, so we can see how different the two worlds are. Although a relatively short book, it was very fast paced and an exciting read. The love story worked well and added to the appeal. I would recommend this everyone 12 and older.